As technology advances and evolves at an astounding rate, it continues to seep into more aspects of our lives. Innovative technologies are being applied to various industries, such as health care, marketing, finance, and education, to name a few, and the art world is not immune to this digital revolution. Technology has certainly affected many aspects of the art market, from the way that collectors find art, to the way they purchase it. But how has technology changed the way that artists create art? Can oil and canvas really be replaced with computer code and software? 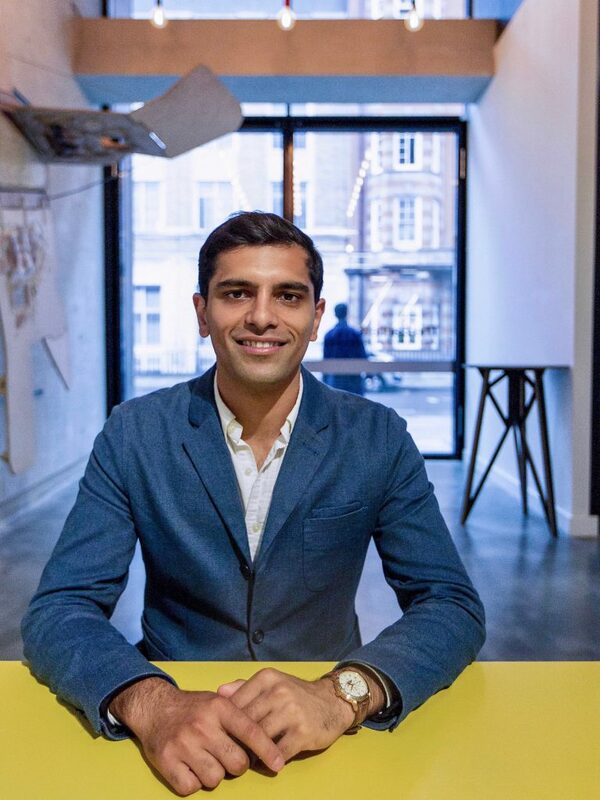 ArtTactic Editor Mary Ahearn sits down with Vishal Kumar, a Data Analyst at Sotheby’s in London and a Data Artist himself, to answer these questions and discover more about the emergence of “data art” as a new method of art creation. Sotheby’s Data Analyst and Data Artist Vishal Kumar. Vishal sits down with ArtTactic Editorial to discuss Data Art. Photo courtesy of Raj Gedhu. Mary: Thank you so much for sitting down with me Vishal. First, I wanted to start with the basics by asking, what is Data art and how is it made? Vishal: Sure, Mary, it’s great to be here. 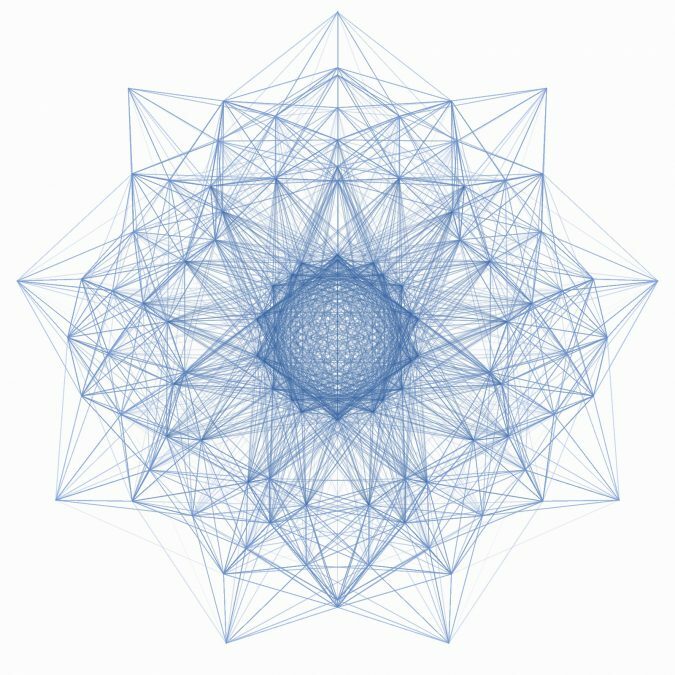 Data art is the process of creating works of art using computer coding, design and data– also known as Generative art. These works can be digital or physical, static or dynamic, and even interactive. An artist can write an algorithm that is then run through a software to generate the work of art. Mary: This method of art-making sounds intriguing and technical. Does one need to have a background or degree in mathematics or computer science? Vishal: You definitely don’t need to have a degree in mathematics or computer science to make data art. I am a Data artist, and I never really knew how to properly code before January 2017. I wanted to generally learn coding skills because I thought it would important for the future and would make me better at my job, but strangely, I ended up learning how to code through making works of art. I really think the whole process of making art with data should be fun, reactive and playful. A great example of current efforts to make coding fun and accessible is the Lifelong Kindergarten group at the MIT Media Lab. They are developing a visual programming language and online community called Scratch which allows users to learn how to code through creativity. I would definitely encourage anyone to give Data art a try. Mary: Data art sounds more accessible than I had previously imagined. What are some examples of contemporary Data artists? Overall, could data art be adopted by artists that utilise more traditional mediums, such as painting or sculpture? Vishal: First I must qualify that most artists who use computers, digital technology, data or algorithms to create works of art may not explicitly identify themselves as “data artists”, “generative artists” or “digital artists”—they are just artists. Overall, I am intrigued and inspired by the work of Reza Ali, Anders Hoff, Zach Lieberman, and teamLab. I really love their aesthetic, but I also enjoy the learning resources they provide. Reza Ali is unbelievable generous with his time and knowledge, and more traditional artists can learn a lot from the material he has made public. That said, one definitely needs to have the will and purpose to create a work of art using code. I am not convinced or confident that artists who use more traditional mediums will want to easily adopt this method of creation unless it really helps them with their craft or if they had a true reason to do so. All of it can be quite challenging and can be completely daunting to someone starting out. I definitely got frustrated and gave up on some methods. However, I do believe that future generations will be more accustomed to understanding and creating data art. I see data as a creative medium. To me, data is like paint, computer coding is my brush, and the screen is my canvas. I want play around with data, shape it, and give it form. This is much more fun than just analysis! 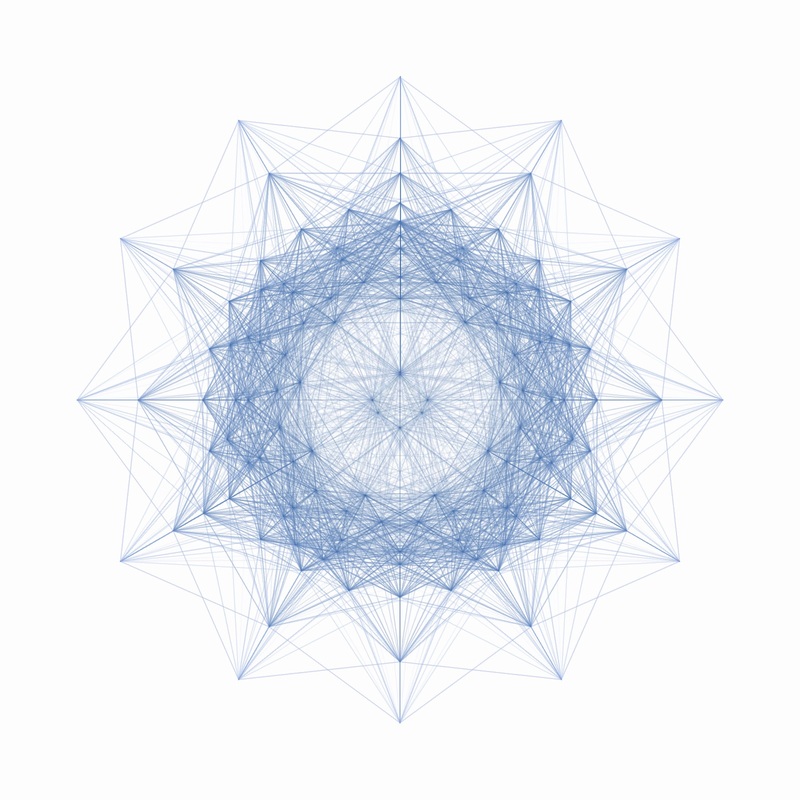 Another still of Vishal’s work “Symmetry” but in a different phase or iteration. Each sketch is always symmetrical and unique. Image courtesy of Vishal Kumar. Mary: Do you see the software as a type of “co-creator”, or collaborator? Or do you see software as a creation tool, similar to how an artist uses a tool like a paint brush to create his/her art? Vishal: I mainly see the software as a creation tool. The software allows me to create geometries which, if completed by hand, would take me several days, possibly months. My works are made programmatically using computer code, and the software I use, Processing, allows me to write an algorithm which generates the art. However, the tool (and the range of tools) can be extremely flexible, variable and reactive, and because of this, it can sometimes act as a co-creator. For example, sometimes I put randomisation into my algorithms which means that I do not necessarily know what the final output would be before I run the algorithm. In this sense, the artwork has a sort of biologically generative feature which is can be quite beautiful sometimes. Mary: Thank you so much for answering my questions Vishal! I wanted to finish by asking about the future of Data art. What should we expect from Data art in the future, say 10 years from now? Vishal: I am extremely excited about the way that Data art can change the way in which we view art. In an institutional sense, I don’t think art necessarily needs to be viewed, consumed or understood in one locale or one space: a gallery; a museum; or an exhibition room. In the future, digital technologies will allow data art to be frequently viewed and understood across multiple devices, instantaneously. Commercially, I believe that data art will be able to be traded using cryptocurrencies and also authenticated on the blockchain; for instance, artists will be able to make unique, one-off digital editions using blockchain technology. That is not to say that I do not believe that galleries or museums will not be important for data art in the future. In fact, I think the role of the museum and of curators in the future will become more important than ever. It will be the role and duty of museum curators to explain the affect digital technologies are having on humans’ lives. A recent development by teamLab plans to launch their own museum in Tokyo which will be dedicated to digital art. 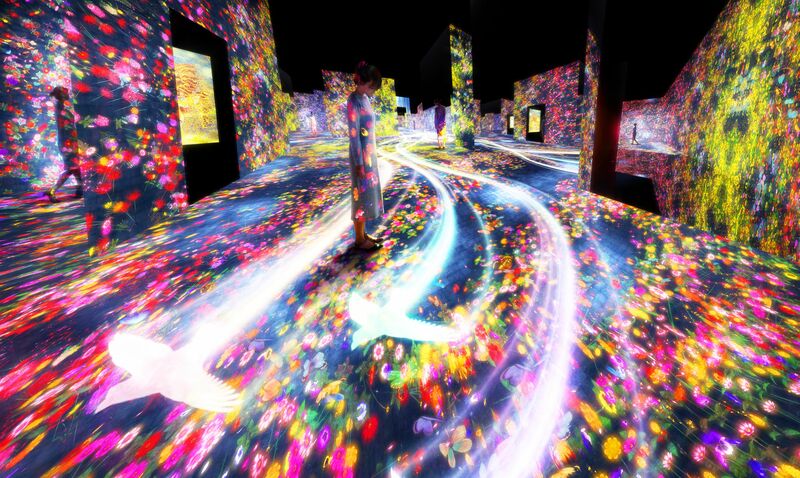 The art collaborative group teamLab plans to open a digital art museum in Tokyo this summer. In the future, I hope that Data artists will not be restricted to one device but will use many servers across a distributed network. I also see Data artists in the future not being restricted to web-based technologies. Instead, they could use the space of an entire room, the fabric of the entire city, or perhaps even the whole planet. This is not unthinkable, and a similar idea is being developed by artist Trevor Paglen with his work Orbital Reflector. As the creative coding process is also built into our education system, I think future generations will find it normal and natural to use innovative tools to make works of art. 10 years from now, I am excited by the use of various Artificial Intelligences – Image recognition, Deep Learning and Natural Language Processing – to help create works of art. Overall, I see data art as bringing the art world into the future of technological innovation.